The Swatantra Party wandered in the wilderness for a few years and then disappeared. But it was like Atticus Finch’s neighbour: it succeeded even as it failed. Chakravarti Rajagopalachari was a scholarly south Indian, and a classy writer in Tamil and in English. His sentences were short, chaste and lucid. His thoughts had a luminous integrity about them. He was the first to articulate the fact that we had a new tyranny in our fair land. The post-Avadi “Permit-Licence Raj”, as he described it, was fast becoming more irksome than the British Raj had ever been. And what he formed was a classic conservative group with people from very diverse backgrounds — the Swatantra Party. Minocher Rustom “Minoo” Masani was this light-skinned Parsi with a posh English accent trying to live down the foolish excesses of his youth, before he discovered socialism for the great deception that it was. He was obsessed with the India of his “dreams”, where freedom would prevail, where citizens would be protected from a tyrant state. And then there was the “queen” of them all — the beauteous Gayatri Devi, who added grace to her beauty and who added a certain feline aggression to her grace; her favorite cigarettes being therefore Italian. There were solid intellectuals — Dandekar, H.M. Patel, Ruthnaswamy. There was the unpredictable “peasant” leader rooted in his beloved Andhra — N.G. Ranga. The Raja of Ramgarh, an early supporter, was somewhat diminished in influence. But there were other Rajas — from Saurashtra, from Rajasthan, from Orissa, who decided to curb their fierce vanities and accept the leadership of the mundu-clad “samdhi” of the Mahatma, who had spent a lifetime opposing them. Like Masani, Philip Spratt, an Englishman, who decided to “stay on” in Bangalore and Madras came to the principles of free enterprise after abandoning Marxism. He lent a certain gravitas to the Swatantra Party and its journal, the Swarajya. Like Disraeli, they wanted to retain the “best of our traditions”, even as they were against rapacious taxation, intrusive state power, and the strangulation of entrepreneurship. But they had a superb political opponent. The Fabian Pandit from Allahabad, who claimed to be from a cooler northern valley, detested the very word “conservative”. He was determined to subvert the fundamental right to property that had been consciously included in the 1950 Constitution. For, after all, the executive arm of the state, which he led, knew best. Did it not? Nehru started by describing the Swatantra Party as a “Maharaja Party”. And you thought he was innocent of caste politics? You must be joking! At one stroke, Nehru positioned the Swatantra as a Rajput party in Rajasthan, and a Kshatriya party in Gujarat — drawing the other castes away. In the Madras state, Nehru’s lieutenants managed to convince voters that Rajaji was a wily, unrepresentative Brahmin. He was derogatively referred to as “Achariar”. And when it came to urban India, Nehru and his minions had a beautiful expression for it — “Tata-Birla-Dalmia” Party. This was not just meant to hurt the Swatantra Party. It was also meant to delegitimise the most significant modern Indian wealth-creators. In land-locked Allahabad, wealth was considered bad, as it was in Bloomsbury, where Panditji had many friends. The mercantile philistines of coastal cities needed to be put in their place. Nehru’s followers viewed the Supreme Court as an opponent. The court insisted on upholding the Constitution, especially the property rights of “bad guys” like the Golaknath family. That was the beginning of the idea bludgeoning checks and balances by simply amending whatever one did not like. Some five plus decades later, a distant Nehruvian would even come up with the “novel” idea of retrospectively amending the law. Little did Panditiji realise that forty years after his death, the ultimate super-sophisticated Bhadralok Marxist Buddhadeb Bhattacharjee (former CM of West Bengal), would actually confiscate land from poor farmers and offer it to Ratan Tata. The poor farmers now had no legal redress. They had to fall back on unlawful agitation to protect their rights. In retrospect, Nehru has the Swatantra Party and Charan Singh to thank for preventing him from implementing collective farming. If he had succeeded, he might have gone down with Stalin and Mao as a leader who presided over the deaths of millions. Perhaps Nehru’s decent democratic instincts made him listen to his opponents. The same streak prevailed elsewhere — despite his instinctive dislike for princes, businessmen, traditionalists, conservatives, Nehru did play by the rules and could not prevent the steady growth of the Swatantra Party. It was Nehru’s daughter who had the killer instinct. She defanged and impoverished the princes; she terrorised them and they turned pusillanimous. The prince of Bastar, who was a thorn in the side of the Congress, was actually bumped off. Princely support for the Swatantra Party disappeared. The Tata-Birla-Dalmia support, if it had ever been there, was too risky for businesses because they needed state patronage. That support crumbled too. The Swatantra Party wandered in the wilderness for a few years and then disappeared — a Thane of Cawdor, now known only for the few who are historically minded or interested in the literature of the imagination. But the Amartya Sen point is important — an argument does not disappear merely because at one point in time in history, its protagonists lose. The argument retains a subterranean life. The Swatantra Party had long gone. The country had progressively moved down the Asian scale until we were the poorest among our neighbours. Taxation was high, incentives were non-existent, the best and the brightest were emigrating, and then came Narasimha Rao — as it turns out, another wily “Achariar”. Rao dismantled the Permit-Licence Raj, or at least its most egregious features. 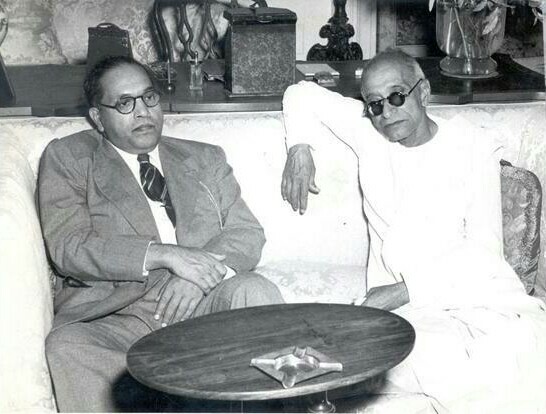 Rajaji’s soul could rest in peace. “Kurai Onrum Illai”. I would translate that as “There are no faults” for Rajaji to complain about, except the tragedy of lost decades and generations condemned to poverty even as their eastern neighbours became prosperous. Masani, in his agnostic Parsi heaven, can feel vindicated that the country of his dreams will emerge and blossom to its full potential in the not-so-distant future. The Swatantra Party is like Atticus Finch’s neighbour: it has succeeded even as it failed. Jaithirth Rao lives in Mumbai. He is an entrepreneur and a writer. The Centre for Civil Society will be launching the Swatantra Party archives at an event in New Delhi on 3 February.